Today is Global Accessibility Awareness Day, an initiative to get people to talk, think and learn about digital accessibility. So why not try out these five steps to see how well your site is meeting the accessibility requirements? 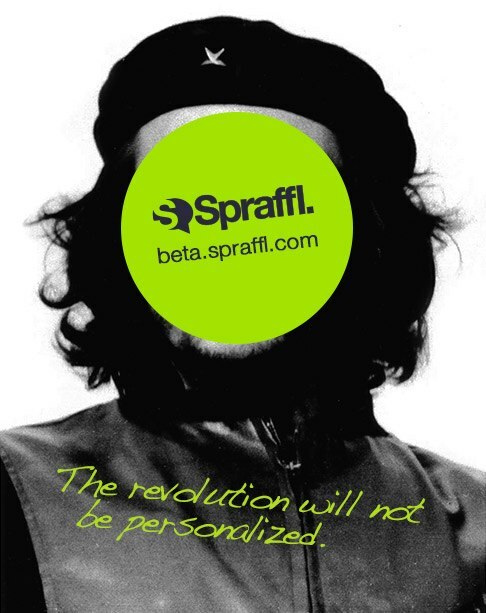 The revolution will not be personalised…or will it? Creating and curating a public persona through social media can be powerful, but would you tweet differently if you were anonymous? A new social media tool lets you do that and could bring an interesting and controversial twist to social media. The press release announcing Four Season’s new site states that it was “thoughtfully designed…to deliver an immersive and effortless experience tailored to every user”. But shouldn’t that include disabled users? The Four Seasons site review focusing on web usability highlighted some important shortcomings in terms of the booking process and other areas, and briefly mentioned some of the accessibility issues. Here we take a closer look at some of these and the actions that should have been taken to truly make the site available and usable to every user. The RNIB (Royal National Institute for the Blind) has decided to sue BMI Baby over its failure to deal with the poor accessibility of its website. This is not the first time that accusations of poor web accessibility have been levelled at an airline, and it is no surprise that travel websites are an area of focus. Even relatively small usability problems can have a big effect on user experience and user confidence on your site, especially at crucial stages of the user journey. The recession is an extra obstacle to shopping online. To stop it from being insurmountable, you need to make sure you remove all the other barriers you can. A slightly disturbing new trend seems to be happening in the world of interface design, requiring people to move their mouse around to tell what is a link and what is not. When you start messing around with the basic building block of the web – the hyperlink – trouble is sure to follow. Once a year Edinburgh’s population more than doubles with an influx of visitors arriving to take advantage of Edinburgh’s festival season. A new iPhone app has many positive features to help punters through the maze of shows and venues, although some improvements can be made to support the user journey. There is something beautiful about making complex information palatable, understandable and even attractive. As the the amount of data released into the world grows, this challenge of assimilating masses of information rapidly will also grow, and the skills of visual designers, information architects and statisticians should be appreciated. One of the benefits of usability improvements is that they keep on delivering long after they are implemented, a compelling proposition for companies trying to make the most of their online traffic and conversions. I regularly need to discuss the benefits of usability in the context of a specific company’s online business goals.